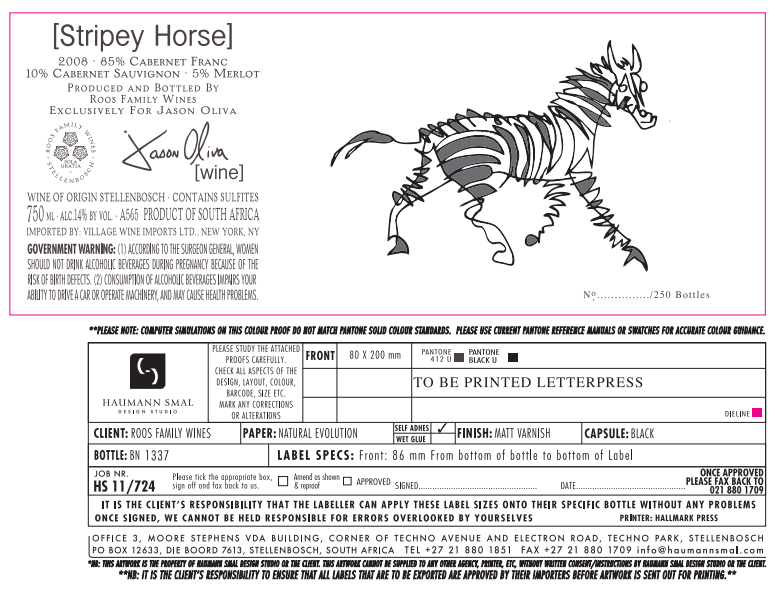 [Stripey Horse]: “The label” is currently in the process of receiving its various approvals and the bottles will soon be adorned. 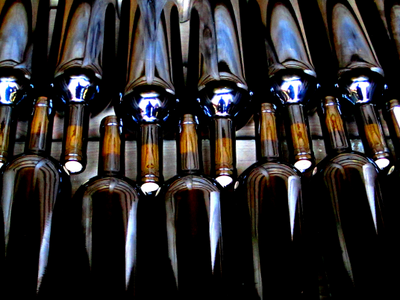 The bottles have been cellared for over a month and they are over their initial bottle shock. Next step is to get the bottles their passports and buy them all a three and a half week long ocean cruise from South Africa to NYC. Feel free to reach out to me at Jasonoliva@gmail.com and I can provide you with more informaion and even schedule a time to come down to the studio….there will be wine!